Join the conversation on Twitter during the conference! Add #QIP2017 to your tweets and posts. 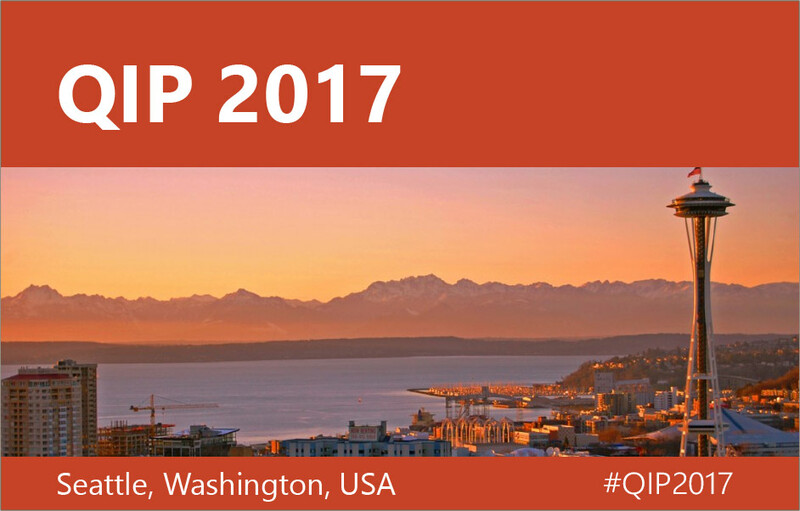 QIP 2017 was hosted in Seattle, Washington by the QuArC group at Microsoft Research in Redmond and the University of Washington. The international annual Quantum Information Processing (QIP) series is the premier meeting for theoretical quantum information research. Since 1998, the conference has featured breakthroughs by the leaders in the disciplines of computing, cryptography, information theory, mathematics and physics. The scientific objective of the series is to gather the theoretical quantum information community to present and discuss the latest groundbreaking work in the field. QIP 2017 is the twentieth international conference on theoretical aspects of quantum computing, quantum cryptography, and quantum information in a series that started in Aarhus in 1998 and was last held in 2016 in Banff. New this year: QIP will feature parallel tracks each day of the conference, allowing for more accepted talks! If you successfully subscribe, you will receive a confirmation email that you must reply to. If you do not receive the confirmation email, please check your spam/ junk folder. QIP 2017 was hosted in Seattle Washington by the QuArC group at Microsoft Research in Redmond and the University of Washington. Abstract: Recent progress on quantum computing hardware, especially in superconducting qubit systems, highlights the need for practical programming models and tools for these first devices. In particular, many near-term applications are quantum/classical hybrid algorithms, that treat the quantum computer as a co-processor. In this workshop, we present an open source quantum programming toolkit targeting near-term applications and devices. This toolkit includes an intermediate quantum instruction language (Quil) and Python libraries for generating and executing Quil code in either a simulated environment or on a quantum processor. This workshop will be interactive, so bring your laptops and Python 2.7 installations! To follow along during the tutorial, please download the software from http://stationq.github.io/Liquid/ in advance. Abstract: I will describe the landscape of classical simulations of the quantum mechanics of materials, chemistry, and biology and the role that quantum information theory has played. I will showcase the current state-of-the-art and highlight challenges, with some speculation as to where quantum computing may be important. Abstract: In this talk, I will report two routes towards experimental BosonSampling with many photons. We developed SPDC two-photon source with simultaneously a collection efficiency of ~70% and an indistinguishability of ~91% between independent photons. With this, we demonstrate genuine and distillable entanglement of ten photons under different pump power . Such a platform will provide enabling technologies for teleportation of multiple properties of photons  and efficient scattershot BosonSampling. Self-assembled InGaAs QDs are in principle deterministic single-quantum emitters with near-unity quantum efficiency and fast decay rate. Using a QD coupled to a micropillar, we produced single photons with high purity, near-unity indistinguishability , and high extraction efficiency, all combined in a single device compatibly and simultaneously . Long streams of >1000 single photons separated by tens of microseconds maintain a >92% indistinguishability, which are shown to be near transform limit . The single photons are used for 3-, 4-, and 5-bosonsampling experiments, more than 24,000 times faster than all previous experiments, and more than 10 times faster than through calculating the matrices permanents using the first electronic computer (ENIAC) and transistorized computer (TRADIC) in the human history . Our architecture is feasible to be scaled up to a larger number of photons and with higher rate to race against increasingly advanced classical computers in the near term. X.-L. Wang et al. Experimental ten-photon entanglement, Phys. Rev. Lett. 117, 210502 (2016). X.-L. Wang et al. Quantum teleportation of multiple degrees of freedom of a single photon, Nature 518, 516 (2015). Y.-M. He et al. On-demand semiconductor single-photon source with near-unity indistinguishability Nature Nanotechnology 8, 213 (2013). X. Ding et al. On-demand single photons with high extraction efficiency and near-unity indistinguishability from a resonantly driven quantum dot in a micropillar, Phys. Rev. Lett. 116, 020401 (2016). H. Wang et al. Near transform-limited single photons from an efficient solid-state quantum emitter, Phys. Rev. Lett. 116, 213601 (2016). Abstract: Semidefinite programming (SDP) is one of the most powerful general purpose methods in combinatorial optimization, and understanding its strengths and limitations is a central focus of research in mathematical optimization. In joint work with Raghavendra and Steurer, we showed recently that polytopes associated to NP-hard problems (like Max-Cut and the Traveling Salesman Problem) do not admit SDP characterizations of subexponential size. Previously, it was unclear how to achieve such strong lower bounds for any explicit family of polytopes. A key insight involves associating a large quantum-classical state to an SDP and then learning a “simple” approximation to that state via a boosting process guided by the von Neumann entropy. The idea of viewing certain kinds of classical objects as points in a relaxed quantum landscape has other potential applications in the theory of computation. Resources: Following are some blog entries about entropy optimization, lifts of polytopes, and related things. Abstract: Recent years have witnessed tremendous progress in laboratory experiments for quantum computing. As the complexity of these experiments increases, however, so too does the difficultly in verifying the quality of the experiment by some objective measure, and in characterizing any undesired noise processes therein so as to improve the next generation devices. In particular, in the absence of a full-fledged quantum computer, we are left with the question: how can we tell if our quantum computer is really working? In this tutorial I will present an overview of the core methods that experimentalists use to address these tasks. The two main tools can be broadly classified as being either tomography or randomized benchmarking, and I will discuss the strengths and weaknesses of these methods. I will describe the theoretical challenges that remain both for mathematical analysis of these ideas as well as for practical data analysis from real experiments. Abstract: How much heat is dissipated in a quantum computer? Just how small can thermal engines be? When can we model a device’s environment as a heat bath? As technology miniaturizes, we find that traditional thermodynamics is inadequate to study heat and work at the nanoscale, due for example to finite-size effects, emergence of quantum effects, subjectivity of information, and relevance of single-shot results. To tackle these challenges, a new theory of quantum thermodynamics is emerging, drawing insights from quantum information theory. In this tutorial, we will see how tools developed to study entanglement and quantum communication can be applied to thermodynamics. First, we will explore the relationship between information and thermodynamics, from Maxwell’s demon to the work cost of quantum computations. I will then motivate and lay out the resource-theoretic approach to thermodynamics, which allows us to derive the thermodynamic laws from first principles. 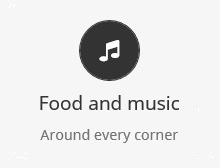 Finally, I will give a brief overview of the state of the art and promising directions in the field. The tutorial will be accessible to any quantum mechanic with a background in CS, mathematics, or physics. Abstract: Interacting systems of many quantum particles exhibit rich physics due to their underlying entanglement, and are a topic of major interest in several areas of physics. In recent years, quantum information ideas have allowed us to understand the entanglement structure of such systems, and to come up with novel ways to describe and study them. In my lecture, I will first explain how we can describe such systems based on their entanglement structure, giving rise to so-called Tensor Network States. I will then discuss how these concepts can be used to model strongly interacting many-body systems and to study the different exotic topological states of matter based on their entanglement, and I will briefly highlight their suitability for numerical simulations. Finally, I will discuss open mathematical and physical challenges in the field. Abstract: I will review how tools from quantum information theory are providing a fresh perspective on some of the deepest problems in particle physics and gravitation. The first lecture will be a brisk overview of the current status of fundamental physics, followed by a discussion of entanglement in quantum field theory and of the properties of quantum black holes. The second lecture will be an introduction to AdS/CFT duality in quantum gravity, emphasizing the emergence of spacetime from entanglement and the role of quantum error correction. I know it sounds scary, but I’m a physicist, so it will be perfectly safe. All talks will be recorded and posted on YouTube. Speakers will be asked to sign a release form to enable posting of the video. Talks should be 30 minutes in length. There will be an additional 5 minutes allocated for questions and answers, and five minutes to allow transition to the next speaker. All talks should use prepared slides. A projector will be available; there will not be a white board. Posters should be formatted to fit an assigned space 48 inches wide and 36 inches high. A board and fasteners will be available for displaying the poster. Posters must be prepared and printed by the presenter. Posters should be hung during the lunch prior to the assigned poster session and removed by the following morning’s coffee break. Poster session assignments will be announced in the next few weeks. Sign up for mentoring using available sheets. Hors d’Oeuvres and drinks will be provided. Vote for best poster using the tickets in your badge. Follow the crowd! We’d love to have you in that picture! 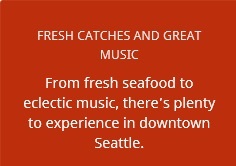 Explore Seattle on your own or join one of the organized excursions by the QuArC team. At the Grand Ballroom on the fourth floor. Disclaimer: Speaker assignments are indicated by an underscored name. Unless requested differently by the authors, by default the first registered individual in the author list was assigned to be speaker. If a merged talk indicates more than one assigned speaker, the allotted time will be split equally among the presenters. QIP 2017 was held in Seattle, Washington at the Westin Downtown Seattle. Seattle is easily accessible by light rail and car from the Seattle-Tacoma International Airport (SEA). Information on United States visas can be found here. It is advisable to begin the application process as early as possible to avoid last minute problems. The time to obtain a visa can vary widely and has taken over three months for some individuals in the past. An interview at a consulate may also be required. The US Department of Homeland Security has implemented the Electronic System for Travel Authorization (ESTA). ESTA is a new fully automated, electronic system for screening passengers before they begin travel to the United States under the Visa Waiver Program. ESTA applications may be submitted at any time prior to travel to the United States, and VWP travelers are encouraged to apply for authorization as soon as they begin to plan a trip to the United States. Please note that ESTA has become mandatory for all travelers from current Visa Waiver Program member countries. Important: Requests for invitation letters need to be received by November 11, 2016. ◦A reference in the quantum information community who has attended past QIP conferences. We look forward to seeing you at QIP 2017 in Seattle! By Air: The Seattle-Tacoma (SeaTac) International Airport is located to the south of Seattle. It serves major domestic and international airlines and is easily accessible via taxi, bus, or light rail (see below for details). 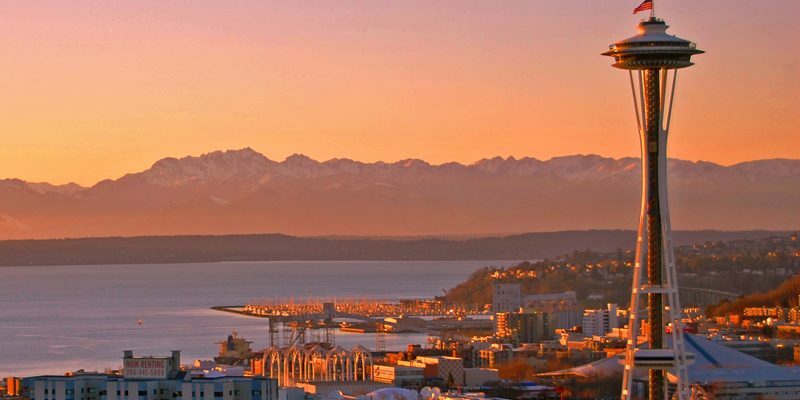 By Train: Seattle can be conveniently reached by train (Amtrak Cascades line) from Portland, Oregon (3.5 hours), or Vancouver, B.C., Canada (4.5 hours). Other options: There are many ways to travel to Seattle from Victoria and Vancouver, B.C., including the Victoria Clipper Service. For details see here. By Car: For a map and automobile transportation options to the downtown area from the airport or other locations in Seattle, please see here. By Taxi: Seattle Yellow Cab is the exclusive provider of taxis for the only taxi stands at Seattle-Tacoma Airport. At the time of this writing, the cost to take a taxi from the airport to downtown is approximately $40. Cash and credit cards are accepted. See the Yellow Cab flat rate zone map. They have 8 to 10 passenger vans available for larger groups. By Uber: There is an Uber pickup location at the airport. Please see their site for details. By Light Rail: By far the easiest and least expensive way to get to downtown Seattle is via Sound Transit Light Rail. The train stops just a few blocks from Westin Hotel. The fair is $2.50 per person. Purchase your tickets at the automatic ticket dispensers; it will take VISA, MasterCard, or cash. By Taxi: For traveling to Sea-Tac airport from the Westin Hotel or other locations in the downtown Seattle hotel district, you have multiple taxi options. A flat rate fee of $32.00 is charged for this service by all taxicabs that operate in Seattle. By Train: Sound Transit Light Rail, with a stop just a few blocks from Westin Hotel, provides service to SeaTac airport. The fare is $2.50 per person. Purchase your tickets at the automatic ticket dispensers; it will take VISA, MasterCard, or cash. Public transportation within downtown Seattle and beyond is offered via Metro Transit buses or Sound Transit bus and light rail service. Welcome to Seattle! Here you will find a vibrant, sophisticated metropolis surrounded by pristine natural beauty and abundant recreation. 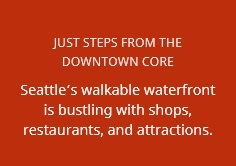 For places to go and see please consult Seattle’s Convention and Visitors Bureau and Seattle City Government. 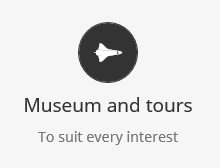 TripAdvisor also has a nice list of top attractions in the city. Directions from conference hotel: Walk 5 blocks down the hill on Madison. Turn Right onto 1st Ave. Walk 5 blocks to 1st and Pike St. You’re there! Look for the large red neon sign. ◦Get freshly-made, hot mini-donuts (across from DeLaurenti’s); use a straw to spear them inside the bag. ◦Don’t forget the Market’s 2nd and 3rd floors downstairs! Make sure you have 2 quarters and a penny. ◦Bring cash in small bills. ◦Don’t eat too much at any one place; dining through the market is the way to go! ◦Have a cup of Joe at the original Starbucks (also across the street from the main building). Space needle, Key Arena, International Fountain, etc. 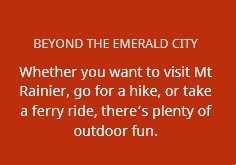 Take the monorail between downtown and the Seattle Center. If the weather is nice, also try the (free) Olympic Sculpture Park. 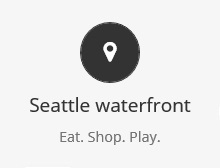 It is outdoors along the water just down the street from the Seattle Center. 608 1st Ave in Pioneer Square, between Cherry Street and James St. Directions: walk down Madison to 5th. Turn Left onto 5th. Walk 3 blocks on 5th to Cherry. Turn Right onto Cherry. Walk 4 blocks down Cherry to 1st. Turn Left onto 1st. $16 Adults; roughly a 90-minute walk. Very fun! Highly recommended! 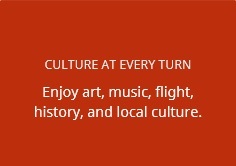 Also take a look around Pioneer Square while you are there. ◦Fran’s Chocolates, corner of Union & 1st, (on your way to/from the Pike Place Market), Salted caramels! The Conference on Quantum Information Processing (QIP) is an annual conference about quantum computation and information which is usually held around January. Its goal is to represent the preceding year’s best research in the area, in the form of both plenary talks and submitted papers. The conference has no published proceedings, and commonly includes the presentation of work published in proceedings of other conferences or in journals. The role of the Steering Committee (SC) is to determine the longer-term course of the conference, to decide upon venues for the next conferences, and to select and invite the plenary speakers for each meeting of the conference. It should also serve as a watchdog and make sure there are no obvious mistakes, e.g., in the choice of time of the conference by the local organizing committee. The SC consists of 9 people, including the local organizers of the previous, next, and subsequent QIPs, and is chaired by the local organizer of the next/current QIP. Members typically serve for 3 years, with the 3 longest-serving members being replaced once a year, typically soon after QIP. The current SC decides on the replacement of outgoing SC members. The SC chooses the chair of the programme committee (PC) for the next QIP. Starting typically in late summer, the SC invites up to 5 plenary talks which consist of perspective, survey, and/or experimental talks that would not normally be submitted to the conference program. If there is a tutorial program preceding QIP, then the SC will also invite tutorial speakers, but otherwise leaves the details of the conference programme to the PC. The role of the Programme Committee (PC) is to select the best submitted papers and to put together a programme for the next QIP. The PC chair chooses the members of the PC (helped by advice from the SC), typically 15 or more people representing the broad range of subfields, including both computer science and physics. The PC chair determines (in cooperation with the SC) the rules for submission and puts out a call for submissions. The selection of talks among the submitted papers is competitive, with typically between 32 and 50 accepted submissions; it is recommended to keep the number of acceptances minimal but the PC has flexibility to accommodate exceptional breadth and quality of submissions in a given year. The PC can designate a few of the best submissions as “plenary” talks, which are assigned more time in the program than regular contributed talks. Poster submissions will generally be accepted unless they are off-topic or clearly wrong, to enable people to obtain funds for travel. At the discretion of the PC, best poster prizes can be awarded. On the days immediately preceding the conference, tutorials can take place, typically each a half or a full day of lectures on a specific topic, aimed at students. If no or only limited tutorials can be offered, this must be decided by the local organizer in conjunction with the SC. The actual conference takes place from Monday to Friday, with (usually) Wednesday afternoon off for scientific discussions and social excursions. Each morning and afternoon session starts with a 40- to 45-minute plenary talk, followed by contributed talks. Each talk is followed by 5 minutes for questions and for setting up the next talk. The poster session(s), business meeting, and a rump session (optional; for short impromptu presentations of very recent results) are held in late afternoons. The poster session forms an integral part of the QIP conference, and activities such as poster prizes or advertisements for excellent posters are encouraged. Once the conference is over, the website will be hosted on a permanent web server located at ETH Zurich. Some hosting fees (about 1000 CHF) will be required for this service, and should be paid by the organizers. The organizers are also responsible for providing all required web files to ETH Zurich. At each QIP there is a business meeting that can be attended by all conference participants, to enable the community to influence the future of QIP democratically. There the organizer for the next QIP gives a presentation, and proposals for the venue of the QIP following the next one are presented and discussed, with an advisory vote taken among the participants. The actual decision about the venue is taken by the SC soon after that. Other organizational matters can also be discussed at the business meeting. QIP features a prize for the best student submission. A submission is eligible for this prize if and only if the main author(s) is/are a student(s) at the time of the submission and will present the work at QIP. Furthermore, a significant portion of the work (at least 60%) must have been done by said student(s), including the majority of the key ideas. Eligibility can only be indicated at the time of submission. All authors are notified if their paper has been labelled as eligible for the student prize, and have 14 days following submission to voice any disagreements about the paper’s nomination to the PC chair. The PC chair is free to ask for any clarifications regarding the students’ contributions at any time. 1. SC members cannot be plenary speakers, but PC members can be plenary speakers. 2. Both SC and PC members are allowed to submit papers and act as paper presenters if a paper submission is accepted. If the PC chair submits a paper, the PC must make sure that the submission is treated exactly the same as any other, particularly regarding the privacy of both reviewers and discussions concerning submissions. One possible approach is to nominate a “Vice PC Chair” who can handle the submissions for which the PC chair has a conflict of interest, taking discussions outside the chairing system if required. 3. PC members must declare a conflict of interest on certain submissions (such as their own) so that they are not involved in the discussion of these papers. Hosted by the Institute of Quantum Science and Technology at the University of Calgary. Hosted by Quantum Computation Laboratory at Centre for Quantum Computation & Intelligent Systems, University of Technology, Sydney (UTS). Hosted by the Autonomous University of Barcelona (UAB), the University of Barcelona (UB) and the Institute for Photonic Sciences (ICFO).